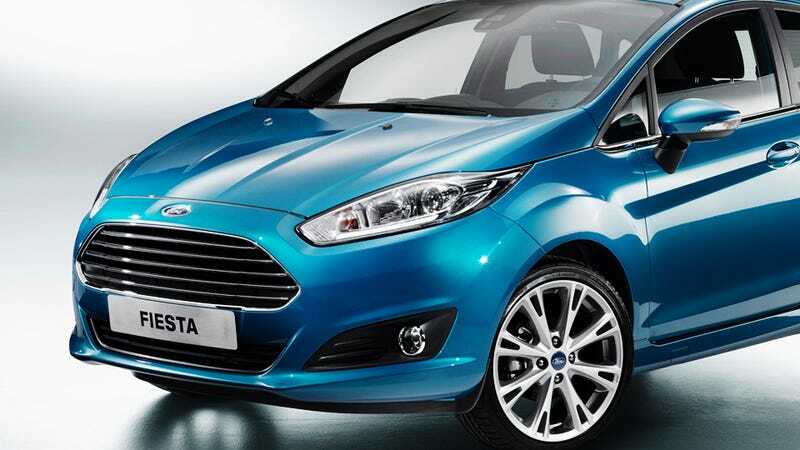 Ford announced today that next year's Ford Fiesta will get their 1.0 liter, three-cylinder turbo Ecoboost engine. How ever did they manage to fit this massive motor in such a small car? This 1.0 liter engine is positively gargantuan. When Ford decided to take the engine block through airport security, it completely and absolutely filled up a whole piece of carry-on! Good luck fitting a weekend's worth of clothes in there. If you're wondering how Ford is going to manage to shoehorn such a humongous motor into the Fiesta, don't look at us. We have no clue how they're going to pull off this feat of packaging voodoo. This will be the first time the tiny motor will be on sale in America, and honestly, we're not sure the country is prepared for its projected 123 horsepower and 148 lb-ft of unbridled fury.